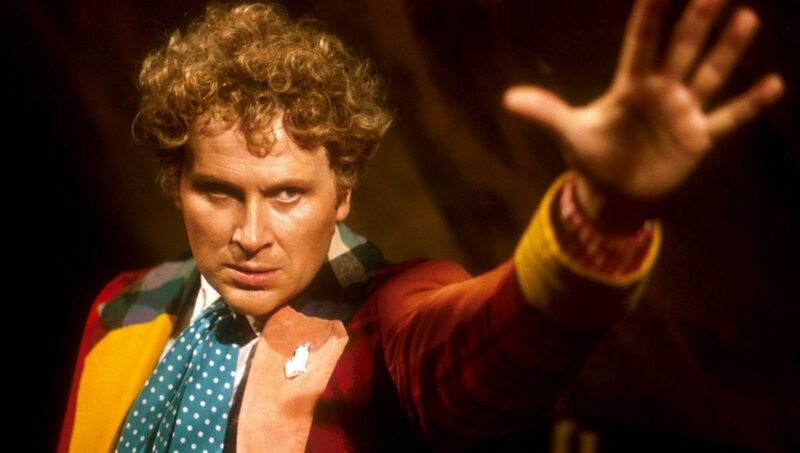 Here’s a squirm-worthy interview with outgoing Doctor Peter Davison, and incoming one Colin Baker. There’s so much wrong with this, it’s remarkable. From the clumsy timing of their entrance, to the facile questions. And that set. That can’t be the usual set surely? It’s so badly lit, the seating looks so uncomfortable, and they are just too close together. And the less said about the sneering (clearly unrehearsed) bit with the fans the better. This was at a time when the BBC was treating the show like trash, and it really comes through here.